Auto Insurance Tips for Canadian Snowbirds Driving to the U.S. If you’re a typical Canadian snowbird, it’s likely that you will be taking your own vehicle to the U.S. over the winter. But before you head down for the season, it’s a good idea to review your auto insurance coverage with your broker or insurance company to ensure that you have appropriate and sufficient coverage for your vehicle while it is in the U.S. While many snowbirds don’t take the time to do this, you really should, as it can help protect you from potentially devastating costs if you are involved in an accident while in the United States. Start by reading your auto insurance policy carefully with regards to travel to the U.S., then call your insurance company or broker to inquire about the details. To help you out, we have consulted several auto insurance experts and compiled their top tips for snowbirds in the guide below. The first thing you should do is find out if you need to notify your insurance company whenever you take your vehicle to the U.S. Some insurance companies require this, while others do not, and some will make a note on your file that you drive to the U.S. every year. How long can I have my car in the U.S.? Most companies allow you to have your car in the U.S. for up to 6 months but this is not a guarantee, so be sure to check your insurer’s time limits and restrictions for how long you can have your car outside Canada. In Canada, insurance is regulated provincially, and because Canadian provinces all have a version of no-fault auto insurance, the limits are calculated with that in mind and vary from province to province. Depending where you live, your basic insurance limits will vary. No fault insurance does not actually mean that drivers are not at fault. Typically, at least one driver will be considered at fault in an accident. But in the no fault system, drivers are compensated by their own insurance companies, rather than having to deal with the other driver’s insurer. However, some provinces have varying degrees of no-fault coverage. For example, Alberta drivers only receive limited compensation from their own companies and must go after the other person’s insurer for any additional amount. Quebec and Manitoba drivers, on the other hand, qualify for large amounts through their policies and are not allowed to sue the other person’s insurer for more. Ask your insurance company whether this could be an issue if you have an accident in the U.S. In the U.S. several states have a no-fault system but many do not. States that don’t have the no-fault system have what’s known as the tort system. 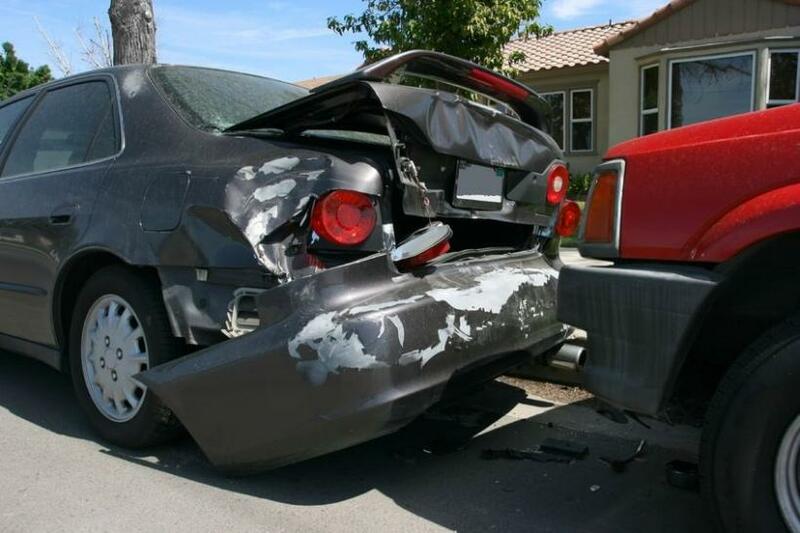 In these states, the insurance company of the driver found to be at fault pays for all damages. Should you increase your liability coverage? Foreign Exchange Concerns: The liability limits for your auto insurance policy will be in Canadian dollars, but any damages you are liable for in the United States will be in U.S. dollars. Because your insurance coverage is in Canadian dollars, the proceeds may not be sufficient to pay for all damages - particularly during periods when the Canadian dollar is weak vs. the U.S. dollar - leaving you vulnerable to being sued for the balance. Not only can this be damaging financially, it will also mean having to hire a lawyer in the U.S. to represent you and possibly returning for court appearances etc. which you will also have to pay for. Check to see if your policy will cover your legal fees or travel costs in these instances. More Litigation and Higher Damage Awards: The U.S. is a more litigious country than Canada and judgement / settlement amounts are often much higher in the U.S. than in Canada. Accordingly, you have a higher likelihood of being sued in the U.S. and being found liable for damages that exceed the standard coverage limits provided in your Canadian auto insurance policy. Because Canadians come from a no-fault environment, limits may not be high enough to cover damages assessed against you if you have an accident in a tort system state. Some insurers recommend increasing your liability coverage to $2 million when spending time in the U.S., while others recommend increasing your coverage even higher. Speak to your broker or insurance company to see what they recommend. Be aware that increasing your liability coverage is often surprisingly affordable and can save you a lot of grief down the road. Be sure to check whether your policy has sufficient loss of use coverage if you are in the U.S. This would pay for a rental vehicle if you’re involved in an accident. It could take longer to repair your vehicle in the U.S. if it is a Canadian model, as some parts may not be readily available, so you may need a replacement vehicle for an extended period of time. As mentioned earlier, always remember that your limits will be in Canadian dollars. If you have other vehicles that you leave in Canada that won’t be used while you’re away, you may want to consider suspending part of your insurance coverage on those vehicles to save some money. However, if you travel back and forth between Canada and the U.S. over the winter, this probably won’t work for you. You’ll also want to check with your broker or insurer to make sure you maintain coverage if your vehicle is somehow damaged while you are away, even if you're not driving it. …your insurance company’s international toll-free number. If you have an issue while you’re away, you may have to spend a lot of time on the phone with a claims adjuster. Remember, not all auto insurance policies are created equally. Before you head south for the winter, take some time to review your auto insurance and understand your coverage in case you are involved in an accident while in the U.S.
And of course, as always with insurance, it pays to shop around and compare policies.